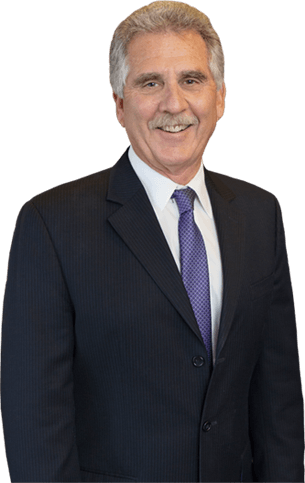 Don Ernst is a trial lawyer that believes in Justice with a capital “J.” With more than 100 cases tried to verdict and a past president of the Trial Lawyers in California, Don Ernst is recognized throughout the state as one of the best. Whether the trial goes for five days or six months, Don Ernst has results that are recognized throughout the state. Don has built the Ernst Law Group as a trial firm designed to do one thing: Tell the story of the client the way it is meant to be told. Clients of the Ernst Law Group have been harmed, wronged or defrauded. Don listens to their story and pledges the firm’s resources behind to tell the client’s story and truth to the world. Don Ernst loves cases that have an underdog component. While this mentality began in personal injury cases, it has evolved into catastrophic personal injury cases, class actions against insurance and mortgage companies, and now even goes to the most basic human rights, like making sure there is clean water to drink. One example of a case Don tried was a class action in 2010 that was divided into three trials. Class actions rarely go to court due to the risk and expenses involved. Don Ernst never flinched. After the first section of trial in front of a San Diego judge, the judge ruled in favor the Ernst Law Group. The entire case settled in the following weeks for a large eight-figure result. With a background of economics from Stanford University, Don Ernst started his firm in 1980, known then as Ernst & Mattison. In 2010, Ernst & Mattison became the Ernst Law Group. Don is a member of the American Trial Lawyers Association; Board of Directors for Consumer Attorneys of California Statewide; Consumer Attorneys of California; and the Founder, Director, and first President of Central Coast Trial Lawyers Association. Don has the highest rating for ethics and skill from Martindale Hubble, the high rank of Advocate in the prestigious American Board of Trial Advocates, and won Trial Lawyer of the Year in 1998, 2002, and 2006. In addition to these prestigious accolades, he holds a rare 10 out of 10 rating for an attorney on AVVO. He was also a finalist for the statewide Trial Lawyer of the Year in 2011, and is now up for Trial Lawyer of the Year for the prestigious American Board of Trial Advocates (ABOTA). In 1990 he founded Central Coast Trial Lawyers Association and was the first president. Additionally, he founded the Lawyer Referral and Information service in San Luis Obispo, making sure people who need a lawyer get help finding the right one. Don’s passion for changing the way things are done is what led the Ernst Law Group into helping change laws throughout the state. He helped write the California Electronic Discovery Act. He also contributed to the changing the rules in California to allow for telephonic appearances, the rules on selling annuities to the elderly, and classifications of annuities and language related to the sale of annuities.